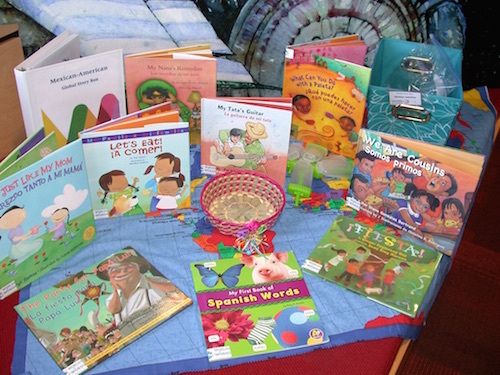 Picturebooks convey stories in both written text and pictorial text (art), with both texts being essential to telling the story (Kiefer, 1995; Sipe, 1998). The art has meanings or perspectives not offered in the written text just as the written text has meanings/perspectives not available in the art. When no written text is present, the story is told only through the art. Typically these books are referred to as wordless books. My co-researcher Ray Martens, an artist and art educator, however, calls them pictorial books to emphasize the importance of the art in telling the story rather than identify these books as lacking words. In recent years Ray and I have taken our passion for picturebooks into pre-kindergarten, kindergarten, and first grade classrooms to explore the richness they hold in telling stories. We want children to understand and read the meanings in both the writing and art. To do this, we share minilessons that examine the decisions artists, as well as authors, make as they compose. Through our work with teachers and children we’ve learned a lot (i.e., Martens, Martens, Doyle, & Loomis, 2013; Martens, Martens, Doyle, Loomis, Aghalarov, 2012, 2013). We’ve learned, for example, that children move seamlessly between the meanings they create linearly in their writing and non-linearly in their art and that they can think symbolically and conceptually, shown in the intentional ways they use color, lines, etc., to represent meanings in their pictorial texts. As our experiences with teachers and children around picturebooks have continued, we’ve come to realize that labels like “writing workshop” are misnomers since far more than “writing” occurs during those times. We have named times for writing, reading, and composing as Storying Studio. Storying Studio is similar in structure to Writing Workshop but intentionally honors and values multiple ways of composing meaning, particularly writing and art for our purposes, using picturebooks as mentor texts. Storying Studio focuses on stories, those children read, draw, and write. All children have stories through which they make sense of their worlds, connect with others, imagine possibilities, and learn (Rosen, 1985; Short, 2012). In Storying Studio children have opportunities to READ, EXPLORE, and STORY. The process is recursive, rather than linear, to meet the needs of teachers and children. So in the upcoming weeks we’ll examine these more in depth. understanding. Englewood Cliffs, NJ: Merrill. happier because it’s more colorful”: Reading the art in picturebooks. Dragon Lode, 31(2), 3-12.
multimodally in first grade. The Reading Teacher, 66(4), 285-294. Martens, P., Martens, R., Doyle, M., & Loomis, J. (2013). Writing pictures, drawing stories: Reclaiming multimodal composing in first grade. In R. Meyer & K. Whitmore (Eds. ), Reclaiming writing: Bringing voice, contention, interrogation, and job back into the classroom (pp. 119-130). New York: Taylor & Francis/Routledge. Rosen, H. (1985). Stories and meanings. Sheffield, UK: NATE. Short, K. (2012). Story as world making. Language Arts, 90(1), 9-17.
relationships. Children’s Literature in Education, 29(2), 97-108.